San Jose Mayor Sam Liccardo said Thursday that the city will join a lawsuit filed Monday against the Federal Communications Commission by Santa Clara County, its fire department and over two dozen other parties supporting net neutrality after Verizon allegedly cut internet speeds for firefighters battling the Mendocino Complex fire. "First responders put themselves on the line each and every day. And every day, we are eternally grateful for their bravery and efforts. In supporting first responders in the Mendocino fire, we didn’t live up to our own promise of service and performance excellence when our process failed some first responders on the line, battling a massive California wildfire. For that, we are truly sorry. And we’re making every effort to ensure that it never happens again. As of yesterday, we removed all speed cap restrictions for first responders on the west coast and in Hawaii to support current firefighting and Hurricane Lane efforts. Further, in the event of another disaster, Verizon will lift restrictions on public safety customers, providing full network access." The California State Assembly's Select Committee on Natural Disaster, Response, Recovery, and Rebuilding will hold a hearing at 9 a.m. Friday over the alleged actions by Verizon, according to the office of Assemblymember Marc Levine, D-San Rafael, the select committee co-chair. Santa Clara County's fire chief claims in the lawsuit that Verizon "throttled" data speeds for firefighters who were battling the Mendocino Complex fires this summer. The multiple fires have grown to over 400,000 acres, according to Cal Fire, becoming the biggest fire in state history. Chief Anthony Bowden said when he requested that Verizon restore data speeds, the company instead offered a data plan that was almost twice as expensive. The FCC repealed net neutrality, which mandates equal access to all internet websites, in December 2017. The county's lawsuit claims that Verizon is among several internet service providers who will now use the loosened regulations to "prioritize their economic interests, even in situations that implicate public safety." Mayor Sam Liccardo said in a tweet Thursday that the city will be joining in on the lawsuit, and to expect further information about its decision in the coming week. The repeal of net neutrality also reduced the FCC's control over internet service providers, according to San Jose State computer science Professor Melody Moh, who called it a "Christmas gift" for companies like Verizon. "Before, the FCC would quickly come to claim that this is wrongdoing," Moh said of the data throttling. "Because of [the repeal], the FCC sort of raised their hands and said, 'No, this is not really our domain.'" Bowden said in court documents that firefighters were forced to use personal devices and other agency's internet providers to effectively communicate, and that Verizon had limited their data to 1/200 of its original speed. He said data was only restored after the department upgraded to a new, more expensive plan. Verizon spokeswoman Heidi Flato said Thursday that the company's response to Bowden was a "customer support mistake" and "has nothing to do with net neutrality or the current proceeding in court." "In this situation, we should have lifted the speed restriction when our customer reached out to us," Flato said in a statement, explaining Verizon's policy of cooperating with government agencies during emergencies. "We are reviewing the situation and will fix any issues going forward." 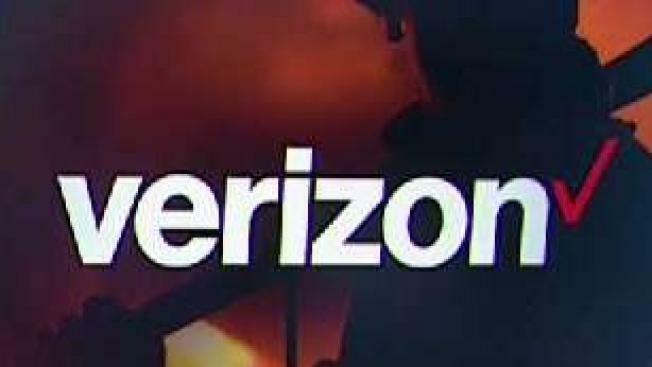 Moh rejected Verizon's defense, saying a customer service team wouldn't have the power to limit the fire department's data on such a large scale during an emergency. "[Verizon] wouldn't dare to do this before," Moh said. "Almost no one could imagine that this could happen ... but this actually happened and really blew our minds." She compared it to a hypothetical water company cutting off water supplies during a fire, and forcing public agencies to pay a higher rate to effectively do their jobs. Moh said the action by Verizon is an "excellent" opportunity to reclaim net neutrality. "Right now our social lives -- and in this emergency case -- rely so much on data," she said, "I think ... this specific incident ... really touched a lot of people, not just Californians."